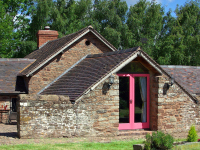 We have found 5 members and 7 self catering holiday properties matching your selection. Live the country life in this picturesque rural farmhouse near Hay-on-Wye. Monnington House is a luxury, 4 Star Gold, self-catering holiday cottage with nine spacious bedrooms, each with its own bathroom. There are large gardens and grounds for games and activities, table tennis room, games room with pool table and table football, and a playing field with football goals. 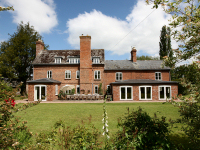 This large holiday cottage in a wonderful location is ideal for family holidays and group gatherings in Herefordshire.